Country Living, Western Music, and Hillbilly Folk Lore. Foodies that love Old Fashioned Down Home Cooking might recognize some as great choices for a dog name. Hillbilly is a term (often derogatory) for people who dwell in rural, mountainous areas in the United States, primarily in Appalachia and the Ozarks. Pop culture has picked up on the term, especially portraying the group of people characterized as poor, white, mountain people both as offensive and kindly and exploited this stereotype in television and movies peaking in the 1960s. Shows such as The Real McCoys, The Andy Griffith Show, Hee Haw, and especially The Beverly Hillbillies became popular during this time. The term is considered in poor taste nowadays and author, J.D. Vance has tried to create a more realistic portrayal of the Appalachian values in his New York Times Best Seller, Hillbilly Elegy: A Memoir of a Family and Culture in Crisis . It is not the intention of this article to endorse or support these derogatory and insulting terms. 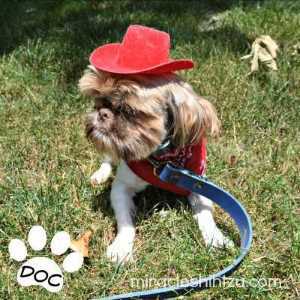 Rather, Small Dog Place looks at the culture of people in rural areas not only in Appalachia, but also the eastern southern and midwestern southern areas by taking a look at the culture, history, music, and characteristics that make these regions unique. Nothing on this page should suggest that we are trying to stereotype a group of peoples. Many of the Redneck dog names on this page were brainstormed by my husband and myself and include actual names of relatives and kin from Appalachia, an area where both of our ancestors originated. Typical of the times were names derived by adding a second name creating a double name such as John boy and Ella May. This is a wide open topic and I am sure I've forgotten quite a few names that should be added to this list. Want to help? What have I forgotten, What Should be added, What are your ideas? 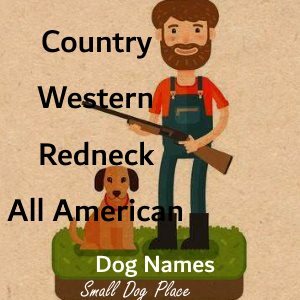 If you have a great Redneck Dog name that should be included on this page, please help make this list the most comprehensive on the web. Use the form below to add your ideas. Don't forget to leave your name and location so we can credit you with your awesome addition. Remember, this is a family-friendly website. Dog Names are best if they are only two syllables, but sometimes a three syllable name can work fine as long as the dog recognizes your shortened version. For example, I have a dog named Ketchikan (town in Alaska). I often just call him Ketch and he responds. Now, if he were one of those dogs I wanted to teach how to catch or fetch, I might have a problem. He is, however a four pound Shih Tzu with absolutely no desire to catch or fetch.